Although I’m not much of a fried and junk food eater now, I have loved it for years. Specially since my Mom never encouraged it and didn’t serve much at home! Typical case of wanting what I couldn’t have!! One of my favourite indulgences was a bun-samosa. Yes, as simple as it sounds. 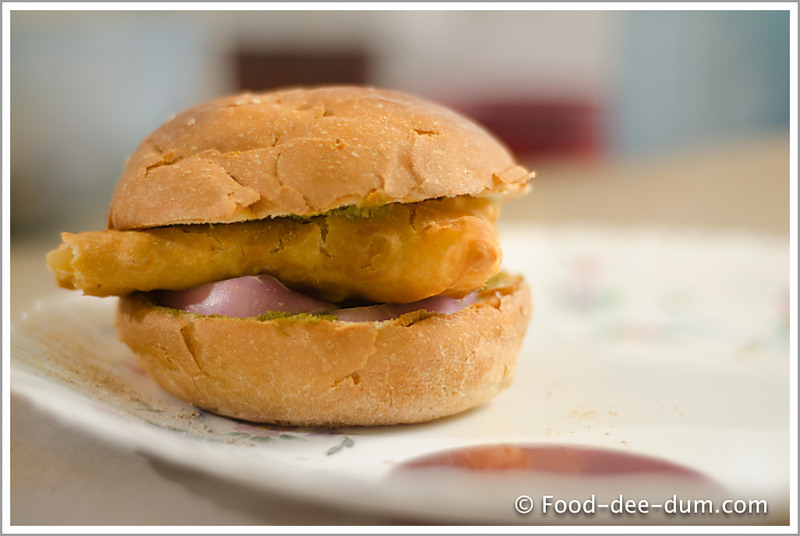 Take a burger bun, toast it, spread some green chutney and ketchup on it and smush a store/ halwai-bought samosa into it and gobble it up! I learned this from my first cook book and loved it from the word “go”. AK had been goading me to make chicken samosas for a while, so I decided to make a dinner out of it by making the chicken samosa from scratch and having it as a bun-samosa! It was much simpler than I thought it was going to be! I watched a few youtube videos to get the hang of shaping the samosa, but the rest I put together as I went along! I would have added the ajwain at this point too. But I ignored the step and went ahead with the ghee!! When it was done, I gave it one last stir and then placed the kadhai on the dining table, under the full blast of the fan to cool it as quickly as possible!! And gobbled it up with a whole lot of Maggi Hot n Sweet Ketchup!! Do 1 & 2 together! Add tandoori chicken masala to the mince filling! If you try any of the above variations, do let me know how it goes!